Welcome to this Prairie-style home inspired by architect E.E. Roberts, with over 3300sqft of historically preserved woodwork and stain-glass windows. This corner lot home is blanketed with tons of sunlight cascading through majestic windows. Built to entertain, with an open floor plan and rooms that are easily opened or closed for intimate dining or large social gathering. Kitchen has Subzero Frig, Thermador Stove. and 2nd Oven, wet bar off kitchen w/ cooler. Upstairs features 3 bed 2 bath. You will love the abundant Master Suite w/ walk-in closet and full-size laundry room. Wine enthusiast your bottles have found there home with over 1000 bottles in a custom wine cellar with temperature control. Basement has drain tile, membrane, and sump pump and is ready to be finished, along w/ a 3rd-floor attic. 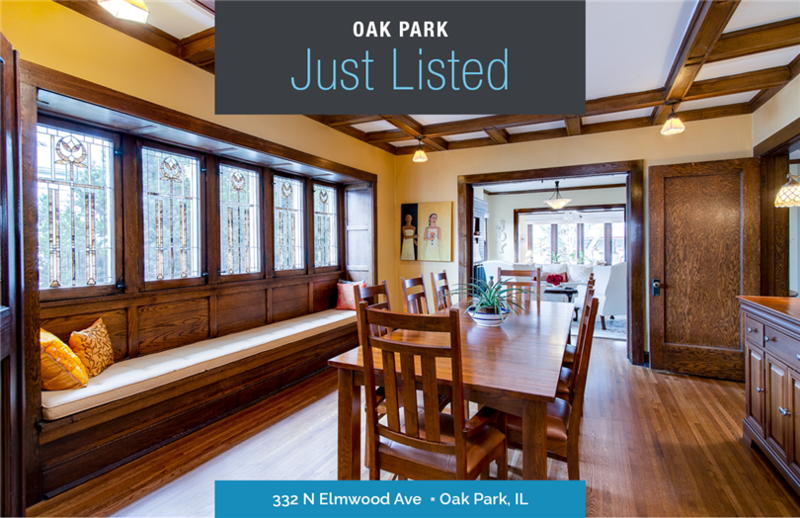 Location is amazing: Walk to everything downtown has to offer plus 2 blocks from public trans, pool, tennis courts, Beye Elm., OPRF, Farmer's Market and multiple parks all around you.